Home Alone goes to hell this Christmas. Someone’s obsessed with the babysitter and everyone is in the house is in danger. A fun twist on home invasion set for the holiday season. You can run, you can hide, you can die! Trust no one and fight for your life or this Christmas will be your last. 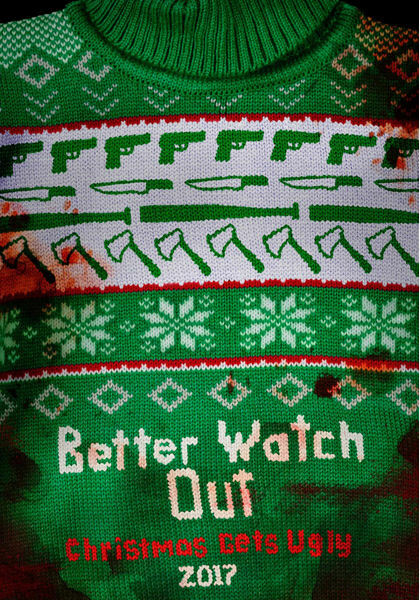 Several fun performances are ready to be unwrapped under the Better Watch Out tree. The adults of this holiday madhouse are veteran actors including 80’s heartthrob Virginia Madsen as the mom, Deandra Lerner and Patrick Warburton as the father, Robert Lerner in smaller, supporting roles. The underage trio of Olivia DeJonge, Levi Miller and Ed Oxenbould set the tone of the film having fun with their over-the-top performances. First time feature director Chris Peckover breathes life into first time feature writer Zack Kahn’s script. The beginning of their movie debut feels like a made for TV special scripted for tweens. Stick around for the seriousness of the film to fall in the form of a home invasion. It’s a nice turn that really picks up the pace of a family special, turning it into a adolescent horror movie adults can enjoy.